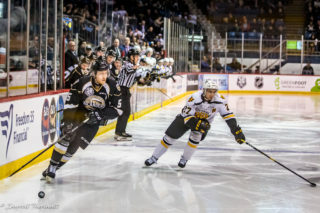 It’s set to be one of the biggest games of the season for the Charlottetown Islanders, as they head to the brand new Avenir Centre for the first time this season to take on the Moncton Wildcats. 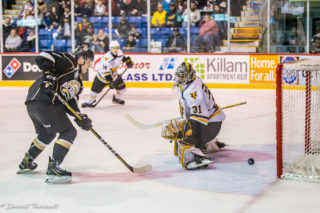 This is just the second time these two teams have met this season, with the Islanders taking the first matchup 5-4 in a hotly-contested matchup in a playoff-like atmosphere at the Eastlink Centre. Since then, both teams have trended in an upward direction. In the 11 games since the loss, the Wildcats have gone 7-4-0-0; the Islanders have faired even better, going 6-0-1-1 in the eight games since. 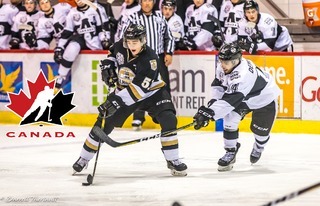 The Islanders are coming off of a 3-1 victory over the Quebec Remparts just last night. Daniel Hardie, Keith Getson, and Pierre-Olivier Joseph each recorded multi-point games in the victory, while Matthew Welsh was spectacular, stopping 34 of 35 shots faced. Moncton meanwhile is coming off of a tough 5-4 loss to the Cape Breton Screaming Eagles on Wednesday night. 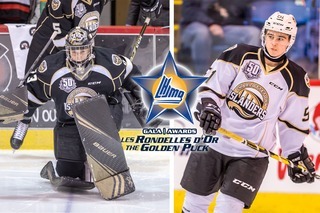 They’ll be looking to rebound in a big way tonight against an Islanders team coming on strong in the QMJHL standings. 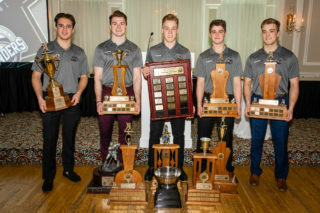 Summerside native Jeremy McKenna continues to set the pace not just for the Wildcats, but for the entire league. His 52 points in second behind Rouyn-Noranda’s Peter Abbandonato in the league points race. His consistently strong play has generated considerable interest from the pros, as he’s reportedly spoken to three different NHL teams about an entry-level contract. In Charlottetown, Daniel Hardie’s two goals last night bumps him in to a tie for sixth among all players with 18 goals on the year. Getson’s second period tally was his tenth of the season, and first in six games. The Islanders will have a heavy contingent of fans in Moncton tonight, as they will be sending four busloads of people across the Confederation Bridge to take in the action. It’s sure to be an exciting night of hockey. Not heading across? Join Cory Arsenault and Aidan Northcott tonight on Fair Isle Ford Isles Radio!